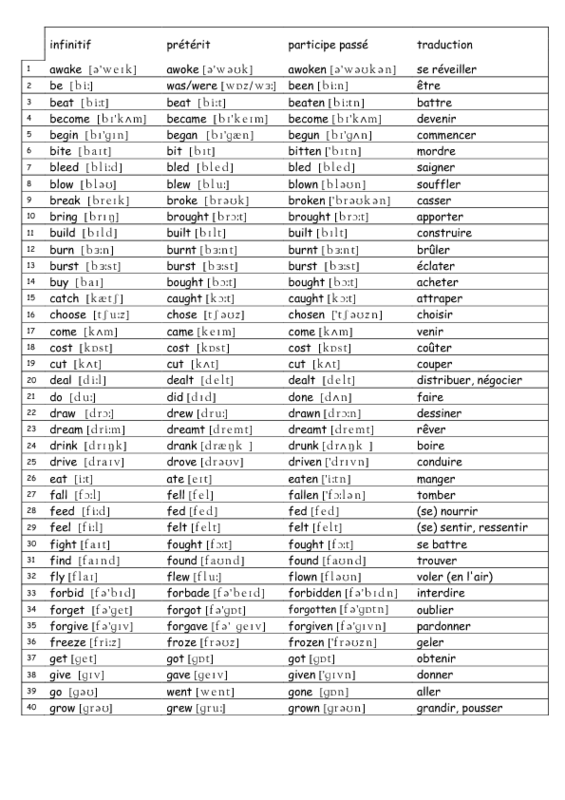 This worksheet is a list of common English irregular verbs, including their base form, past simple, past participle. 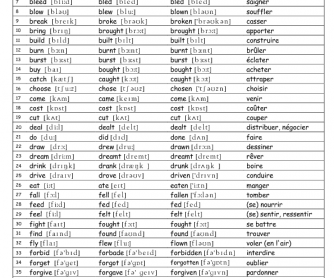 The list is to help French students learn the most common irregular verbs in English, there are 102 verbs classified in alphabetical order. Phonetic symbols are included. The worksheet is for French students.